Historical Marker #719 interprets the life of William Mentor Graham. Graham was born around 1800 and reared in Green County, Kentucky. He received his education in Hardin County, Kentucky, prior to moving to Sangamon County, Illinois, in 1826. Graham stated in a letter to William Herndon on July 15, 1865, that he witnessed Thomas Lincoln and Abraham for the first time working in their Kentucky fields, but had no interaction with the Lincoln family. He became intimately involved as Abraham Lincoln's teacher in New Salem, Illinois, where Graham ran the only schoolhouse. 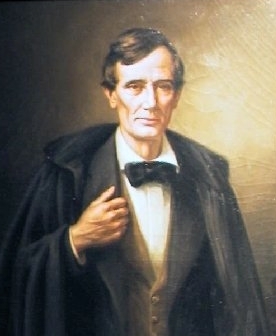 Graham stated that Lincoln came to live with him for a six-month period in February 1833. The "semiliterate schoolmaster," Graham, aided Lincoln in the study of arithmetic and grammar. Mentor Graham, in a May 29, 1865, letter to Herndon, stated, "No one ever surpassed him in rapidly, quickly and well acquiring the rudiments and rules of English grammar." Mentor Graham, James Rutledge, and Lincoln also participated in the New Salem debating club. 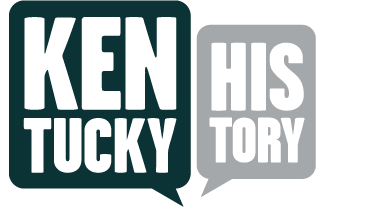 Warren Greer, “Lincoln's Mentor,” ExploreKYHistory, accessed April 22, 2019, https://explorekyhistory.ky.gov/items/show/135.